This article discusses the proper procedure for controlling, financing and acquiring replacement property in a §1031 warehousing transaction. An investor owns real estate he no longer wants. His desire is to shift his investment in the property to a property which offers him a better investment opportunity. His timing to purchase a property is right – not so for a sale. At the moment, the investor is confronted with a buyer’s market in which real estate prices are soft and competition among buyers is low. On the other hand, interest rates charged by mortgage lenders are dropping, signalling these lower prices will not be around for long. Also, sellers are still accepting liberal terms for payment of purchase prices, and interest rates on carrybacks are low. All the economic attributes creating this favorable buyer’s market are exactly the factors suppressing the market value of the property the investor no longer wants. Thus, the investor must wait for the return of lower mortgage rates and expected investment yields to sell at a price obtainable in a seller’s market. The investor has ample cash reserves to buy properties in this market. However, he does not wish to permanently add more real estate to his investment portfolio at the expense of reduced cash reserves. The investor knows he will be able to eventually sell the property he no longer wants, and at the price he wants. When he does sell, the investor wants the profit to be exempt from taxes under IRC §1031. He believes he cannot qualify for the profit exemption unless he first sells the real estate he no longer wants. However, an investor need not first sell his property, or even concurrently sell or exchange, to qualify under the §1031 profit tax exemption. The investor may first fund the purchase of a replacement property by an interim owner and later sell the property he no longer wants, called a reverse like-kind exchange by the IRS. Since the sell-buy chronology of the typical §1031 transaction is “reversed,” no sales proceeds will be available to fund the purchase of the replacement property to be acquired by the interim owner. Thus, before an investor can consider embarking on a reverse exchange, the investor must have adequate cash reserves to fund the purchase and carrying costs of the replacement property. future appreciation of a property’s value due to the demographics of its location. Also, the investor must take care to avoid holding title at the same time to both the property he intends to sell and the replacement property. An individual is the owner-operator of a business which occupies nonresidential property as a tenant. He would like to own the real estate his business now rents. What the businessman would like to do is exchange residential rental units he now owns for the landlord’s property. The equity in the units is nearly equal to the landlord’s equity. However, while the landlord is willing to sell, he is not willing to accept the units in exchange for any part of the price. Thus, the businessman must sell his units to produce the funds needed to purchase the nonresidential property he now occupies, if he is to retain his cash reserves. The businessman makes an offer to buy the landlord’s nonresidential property on terms consisting of cash to the existing loan. Closing is contingent on the sale of the residential units so he may qualify for profit tax avoidance under IRC §1031. In response, the landlord counters, offering to sell without the sale-of-other-property contingency. The businessman accepts the counteroffer, which commits him to use his cash reserves if the units do not first sell. Further, the businessman’s intent steadfastly remains to complete a §1031 reinvestment and avoid reporting taxes on the profit generated by the sale of his units. However, before the rental property has been sold, the landlord makes a demand on the businessman to close escrow on the replacement property or he will cancel the purchase agreement since the date set for closing has passed. Faced with losing the right to purchase the building he occupies, the businessman temporarily commits his cash reserves to fund the close of escrow and take title to the property. He will merely replenish the cash advanced from the later sale of this rentals. Thus, an interim owner must be located to acquire title and ownership to the replacement property directly from the seller of the property. The cooperation and assignment provisions in the purchase agreement permit the businessman to transfer his right to buy the property by an assignment to an interim owner he will select. Thus, the interim owner will close the purchase escrow on the replacement property by taking title in his own name and becoming the owner of the property. An income property investor owns an industrial building which is leased to a tenant who occupies the premises as his place of business. The tenant needs a larger and better facility to house his growing business. A broker is retained by the investor to locate unimproved, vacant land at a location which is suitable for construction of improvements which will satisfy the tenant’s needs in a new premises. The broker coordinates his efforts with the tenant. A parcel of land is located which will accommodate the construction of improvements the tenant will agree to lease. The investor acquires ownership of the vacant land. A planner and builder are retained to design and construct the improvements sought by the tenant. Approval for the issuance of a building permit is obtained and a construction loan commitment is arranged. A lease of the yet-to-be-built improvements is negotiated and entered into by the landlord and the tenant. Before originating the construction loan and taking out the building permit, the investor determines his finances require the sale of the industrial building presently occupied by the tenant. He again retains his broker. This time the broker is to locate a buyer for the property the tenant will be vacating on completion of the construction at the new location. A prospective buyer is located who is willing to pay the cash price sought by the investor. Before entering into a purchase agreement with the prospective buyer, the investor inquires into the portion of the net sales proceeds he will retain after payment of profit taxes. The price includes a significant amount of profit since the investor’s basis is low in comparison to the price due to inflation, appreciation and depreciation deductions over several years of ownership. To avoid the payment of taxes on the profit from a sale of the improved property, an attorney and accountant retained by the investor suggest the sale be structured as part of a §1031 reinvestment plan. A continuation of the investment in the property to be sold will be established by the reinvestment of the sales proceeds in the improvements on the vacant land the investor now owns. To accomplish the reinvestment, the prospective buyer must first take title to the vacant land and hold title for the period of construction before acquiring the property he is actually buying from the investor. On completion of construction, the buyer will then reconvey the land (with its improvements) to the investor. 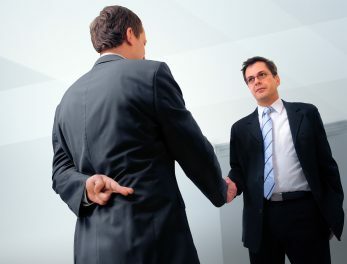 On reconveyance, the buyer will then pay the price to acquire the property he is buying from the investor. During the period the buyer holds title to the vacant land, the investor will pay every expense, obligation or debt incurred on the property. The prospective buyer will pay nothing. Thus, the prospective buyer will incur no liabilities since the investor will be solely responsible for all costs of ownership and construction. Further, should for some reason the prospective buyer be held liable for any sums arising out of his holding title, the investor will indemnify the prospective buyer and hold him harmless by paying the sums due. Thus, the prospective buyer will not be “out of pocket” at any time, until he pays the agreed-to price for the old property and concurrently receives title and possession. Also, the prospective buyer will receive no gain or other economic benefit for holding title to the vacant land until construction is completed. Since the investor now owns both properties and cannot exchange them with himself, the investor is advised by his attorney to structure his §1031 tax avoidance and reinvestment plan in two steps. First, the investor will transfer title to the vacant land to the buyer under a title holding arrangement structured as a sale. The “price” for the land will be set as the amount the buyer will be paying for the property he will be buying from the investor. The “price” for the vacant land will be paid by executing a carryback note and trust deed (nonrecourse) in favor of the investor and secured by the land conveyed to the buyer. The carryback note is a straight, noninterest-bearing note which is due and payable when the buyer acquires title and possession of the property he is actually buying from the investor. Taxwise, and as the first step in the two-step series of transactions, the investor will report a sale of the vacant land and pay taxes on the small profit resulting from the agreed-to sales price. At all times, the investor will retain full control over the construction of improvements. The title will be reconveyed to the investor on completion of construction. All documents creating a debt obligation on the vacant land, such as loan documents, are to be nonrecourse and will impose no liability on the buyer. The investor is authorized to act as the representative of the buyer for all aspects of construction and loan fund disbursements. All expenses, taxes, interest and other costs of ownership of the vacant land until reconveyed to the investor are to be paid by the investor directly. Thus, the buyer will contract for and pay for nothing as a result of his holding title. Further, the buyer will receive no consideration for holding title or executing documents as the vested title holder of record, other than the right to acquire ownership of the property being purchased from the investor on the buyer’s payoff of the carryback note. The second step in the related series of transfers will be structured as an exchange of properties. The exchange agreement will call for the buyer to receive the property he is to actually own. It will be conveyed free of encumbrances on his return of title to the vacant land and pay off the carryback note he executed when he took title to the vacant land. The payment of the principal amount of the carryback note is the only amount the prospective buyer will be obligated to pay in the entire series of activities. The broker expresses his sense of concern about the fact the investor already owns the replacement property, that the investor is retaining all the rights and obligations of ownership to the replacement property, that he is merely “parking title” to the vacant land with the prospective buyer of the property actually being sold, and, ultimately, will still own the vacant land when the investor conveys the property he is selling for cash. Will this two-step transaction qualify as a §1031 transaction exempting the profit on the sale of the property the prospective buyer is to acquire? No! The sale of the vacant land was not an arms-length sales transaction between the investor and the buyer. The equitable ownership, and thus the beneficial ownership of the vacant land, was never transferred to the buyer. To effectively “sell” the vacant land, the transfer of title must include the economic functions of ownership, such as the benefits and liabilities accompanying ownership of real estate. Here, no ownership was transferred, only the naked title was transferred. The investor at all times retained full control over all decisions concerning ownership activities (construction, financing, leasing). More importantly, he remained primarily responsible for incurring all the risks and paying all the costs of ownership, construction and conveyancing. Thus, the sale and reconveyance of the land as a two-step transaction collapses for lack of any economic justification to demonstrate an ownership of the vacant land had been transferred to the buyer. As a result, title was merely transferred under a titleholding arrangement, designed as a “parking transaction,” to give the appearance in the second step that an exchange of properties was occurring. The vacant land, acquired to be improved to replace the income property held by the investor, initially should have been purchased by an interim owner, such as the general contractor who would be constructing the improvements, or an uncontrolled entity or unrelated individual such as the real estate broker. The investor could have lent money sufficient for the contractor or broker to purchase the land, pay for construction costs and carry the property until it could be, for the first time, conveyed to and owned by the investor. The acquisition of ownership by the investor would follow (or close concurrently with) the sale of the property being purchased by the buyer. The buyer’s funds would be delivered to the contractor or broker who held title as the interim owner of the land. In turn, the contractor or broker would convey the improved land to the investor, and pay off the loans they borrowed (from the investor) to buy and carry the investor’s replacement property. When it is the imperative of the seller of the replacement property being acquired by an investor to complete a §1031 reinvestment plan that the investor close escrow on the purchase of the replacement property before the investor is able to close escrow on the property he is selling, arrangements must be made by the investor to close escrow and control the replacement property. The investor does so by the use of a substitute buyer in compliance with one of two types of parking transactions recognized by the IRS for §1031 income tax purposes. Thus, an investor avoids being classified as the beneficial owner of the replacement property, whether or not he now holds title himself, under one or the other of these two parking arrangements. If the investor is classified as the beneficial owner, he will not be able to later couple his purchase of the replacement property with his disposition of the property he wants to sell and avoid reporting profits on its sale. Beneficial ownership of both legs of the §1031 reinvestment plan by the investor at the same time disqualifies the profit on the property sold for the §1031 exemption from taxes. For example, after closing the purchase escrow on the replacement property, the investor has 180 days in which to complete the §1031 reinvestment plan by closing a sales escrow on the property to be sold. If not, he loses the §1031 tax exemption. Thus, the investor who fails to sell within 180 days after the acquisition of title to the replacement property in the name of the interim titleholder (accommodator) is “locked in” to failure of his §1031. The investor is prevented from taking action to the contrary due to notices he must deliver to the IRS which are required to initiate the safe harbor procedures when the replacement property is acquired in the name of the interim titleholder. By structuring the reverse exchange as a title holding arrangement in compliance with the safe harbor rules, the investor exposes himself to the risk of losing his ability to acquire the replacement property as part of any §1031 reinvestment plan. The 180-day warehousing constraints requiring him to take title to the replacement property whether or not the property he intends to sell does sell. Thus, the investor is unable to extend the time for his acquisition of the replacement property from the interim titleholder to a later date. As a result, the investor will be unable to acquire the warehoused property as §1031 replacement property which will qualify the profits on the sale of any property after the 180 days. The risks posed by the time constraints and the commitment tying the acquisition of the replacement property by the interim titleholder to the sale of a particular identified property may be small, and thus acceptable to an investor. For example, a buyer has been located for the property an investor is selling. However, the replacement property must be acquired by the investor before he can close on his sale or he will lose the opportunity to buy it (or the price will be increased). Here, the safe harbor rules provide great flexibility in operating and developing the property during the 180-day period for closing out the §1031 reinvestment plan. Title to the replacement property may be taken in the name of the interim titleholder and later close the sales escrow on the property he is selling. To avoid holding title to both properties simultaneously and qualify as a reverse exchange, an investor buying property under a purchase agreement or option, assigns his right to purchase the replacement property to an interim owner, an activity called warehousing the property. For example, a broker who is experienced as a property manager is contacted by an investor to be the interim owner of income-producing replacement property the investor has agreed to buy under a purchase agreement. The broker agrees to be the interim owner of the replacement property until the investor’s property is sold. Escrow closing instructions, including an assignment to the interim owner of the right to buy the property, are prepared and agreed to by all. The interim owner will become the owner and landlord, and collect rent, pay operating expenses, taxes, insurance and all other costs of ownership required under the leases. The investor, to close the purchase escrow, lends the interim owner all the funds needed to purchase the replacement property. The loan is evidenced by a note signed by the interim owner, with or without an exculpatory clause. Further, the investor also enters into a future advances agreement with the interim owner. By it, the investor obligates himself to advance any additional funds the interim owner may need to cover cash flow deficiencies which may be incurred during the interim ownership of the replacement property. The interim owner may be paid a fee for his cooperation and the risk of ownership he undertakes. Any net spendable income generated by the property prior to resale to the investor also belongs to the interim owner. However, interest paid on the funds advanced by the investor will reduce the net spendable income available to the interim owner if installments are called for. 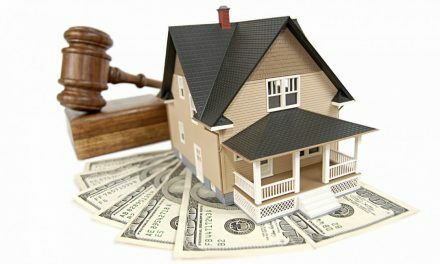 A separate purchase agreement is entered into between the investor and the interim owner for the resale and conveyance of the replacement property to the investor to assure the investor he has the right to acquire ownership of the replacement property when he is able to sell the property he is disposing of. When the investor sells the property he is disposing of, the net sales proceeds will be made payable and delivered to an escrow opened to purchase the replacement property from the interim owner, as would occur for any other purchase of a replacement property. The net sales proceeds will fund the investor’s down payment on his purchase of the replacement property under his purchase agreement with the interim owner. From the down payment funds, the interim owner, now acting as the seller of the replacement property (to the investor), will pay off the purchase-assist loan made by the investor, and any carrying costs advanced by the investor, plus interest. In turn, the investor will reconvey the trust deed(s) he holds to secure repayment of his advances and the interim owner’s performance of the purchase agreement to resell the property to the investor. The interim owner, through escrow, conveys the replacement property directly to the investor to complete the §1031 reinvestment plan. The ownership of the property by the interim owner ends. Further, the property to be sold by the investor can be later sold during a period in which the market will allow the seller to demand and receive the highest price. Then, the §1031 reinvestment plan is completed, and the profit taken on the property sold is exempt from taxes. Direct deeding between a seller and a buyer remains the simplest, most common, and thus the preferred method for transferring title. Sequential deeding is an even more costly mistake in counties and cities which impose a transfer tax on each conveyance. In a reverse exchange (or any exchange), it is unnecessary for the interim owner of the replacement property, or any third party accommodator, to also take title to the property the investor is selling. An intermediary is only used on the sale of the investor’s property to hold the net sales proceeds so the investor may avoid constructive receipt of the sales proceeds and use the funds to acquire the replacement property, called a delayed §1031 transaction. In a reverse exchange, an investor deeds the property he is selling directly to his buyer. Also, title to the replacement property held by the interim owner need not be subjected to the chaos of sequential deeding, passing the title through others. The replacement property in a reverse exchange is deeded directly to the investor by the interim owner (who took ownership and possession from the seller) – to complete the §1031 reinvestment plan. The sale of one property and the acquisition of another property by the investor are treated as separate and unrelated transactions – except for §1031 limitations. to bar receipt of interest on the net sales proceeds prior to acquisition of replacement property. 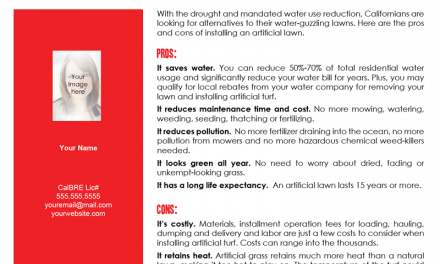 FARM: Should you install artificial turf? May the end owner of a foreclosed rental property evict a previous tenant when the tenant’s lease has not terminated?